Throughout your Danube cruise, delight in the combination of pageantry and timeless traditions at the magical Christmas markets. Be spellbound by the medieval atmosphere of Nuremberg and Regensburg’s Christmas Markets, while savoring a cup of hot mulled wine. Let the hills come alive with the sound of Christmas carolers while in Salzburg and embrace all the glory of glamorous Vienna on this enchanting journey. 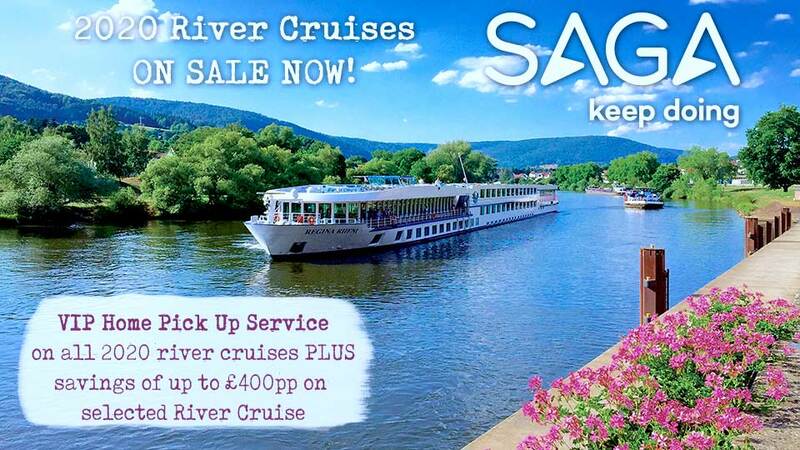 Board your cruise in Nuremberg. Tonight, gather on board your ship for a Welcome Dinner. The ship will moor overnight in Nuremberg. The ship arrives this morning in Linz, you will have a choice of three different excursions. The first option is an excursion to Salzburg, Mozart’s birthplace, where you will take a walking tour of the historic center made famous by the “Sound of Music.” The second option is a walking tour of the second largest city in Austria, and the third option is a guided bike tour that will show you around the Old City Center, along the Danube River, and past the ultra-modern Ars Electronica Center. This afternoon, those that didn’t head for Salzburg before may enjoy a special highlights tour of this UNESCO World Heritage Site. Today’s guided walking tour takes you to Melk’s magnificent 900-year-old Benedictine Abbey, one of Europe’s largest Baroque monasteries. You will see the famous library that inspired novelist Umberto Eco to write The Name of the Rose. 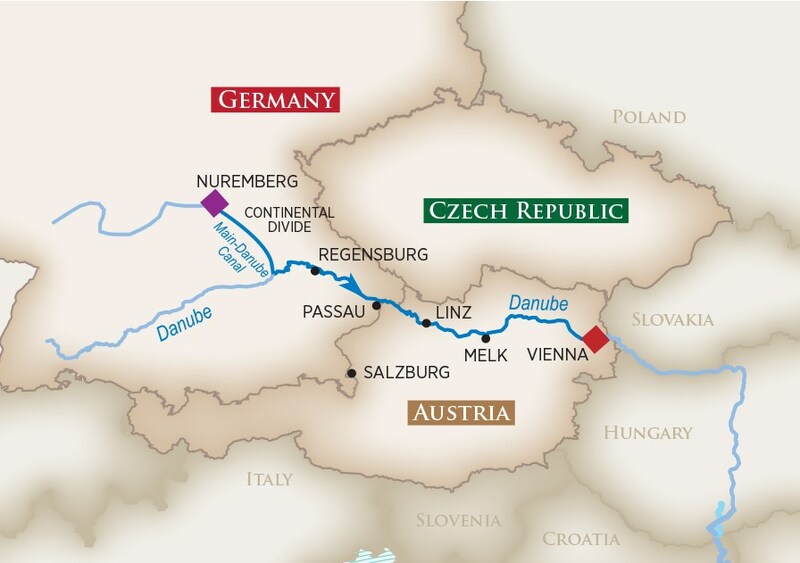 You may also opt for a guided bike tour along the scenic Danube instead. 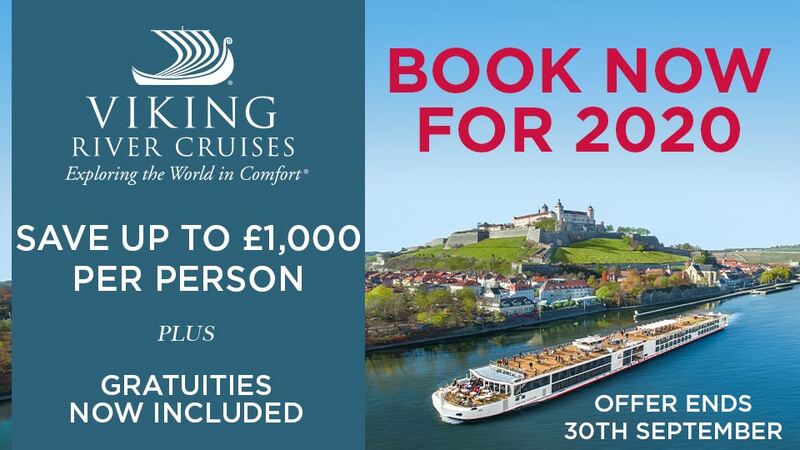 Later, the ship cruises through the romantic Wachau Valley en route to Vienna, the “City of Music,” arriving this evening. The ship moors overnight in Vienna. This morning, you will have a chance to savor the Baroque elegance of Romantic Vienna through your choice of one of two different excursions. The first option is a panoramic tour of Vienna that guides you past the majestic Opera House, the former Imperial Palace of the Habsburg Emperors, Parliament, Town Hall and Vienna University. 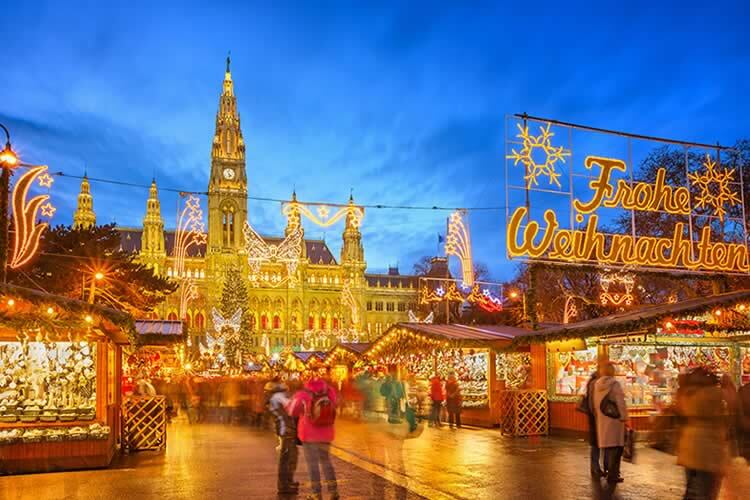 Afterwards, you will visit Vienna’s historic city center, a UNESCO World Heritage Site, and see St. Stephen’s Cathedral, Graben and the world famous Spanish Riding School, as well as the Rathausplatz Christmas market. The second option is an Alte Donau guided bike tour. This afternoon, you will visit the Schönbrunn and Karlsplatz Christmas Markets, and this evening the festivities continue with visits to both the Maria Theresienplatz and Rathaus Christkindlmarkt markets. This morning, depart the ship after breakfast. Your transfer will take you to the airport for your flight to the UK.